Each week the Lovejoy Athletic Department will feature the outstanding contributions from a member of our coaching staff. We appreciate the time, dedication, and the leadership that they invest in our student-athletes. 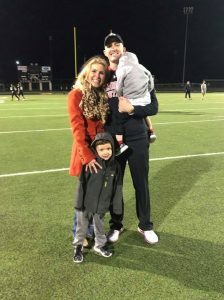 This week’s Spotlight is on basketball and football coach Tyler Wicke. Coach Wicke is appreciated for tremendous work in and out of the classroom and on the field and court of competition. What is the most rewarding part of being a coach? Working with kids in an activity they enjoy. Watching them leave and be successful in life. Congratulations Coach Wicke and thanks for all that you do for Lovejoy ISD.